What is this alliance and why is it alive, anyway? 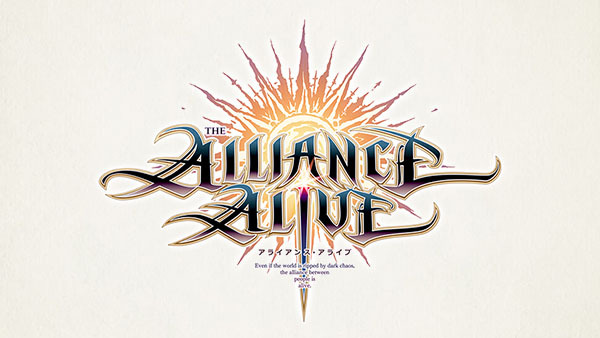 FuRyu, the creators of The Legend of Legacy, recently announced an upcoming game called The Alliance Alive, which is coming to Japan in spring 2017. Though the initial announcement left a lot to be desired, FuRyu has gone forward and has opened a teaser website for the upcoming game, as well as a short video showing off some of what we can expect to see. The game will follow nine different protagonists and will have players switching between them, SaGa Frontier style, while the story is told from each of their perspectives. The game is set in a large continent that's actually presided over by magical beings, and there are several worlds inside with "themes" and affected by "distortion." It's a little complicated, but I'm sure as details come out that explain things further we'll be able to get a better picture of what you're actually doing in-game. Here's to hoping it actually gets a North American release!